Ensuring your Renault is kept in premium condition requires regular servicing and maintenance, but this doesn’t mean that you have to pay premium prices at an Renault main dealer. You can get exactly the same professional service from our experienced mechanical engineers at Whitkirk Motors. If your Renault is under manufacturer’s warranty you can still bring it to Whitkirk Motors for servicing or repair without invalidation. That’s because the EC Block Exemption Regulation of 2003 allows customers to choose where they have their car serviced. The only stipulation is that the garage uses Original Equipment parts and follows the manufacturer’s service schedules – which of course we do. When you bring your Renault in to service at Whitkirk Motors, you can be assured of a warm welcome from our friendly staff and you’ll be offered a cup of tea or coffee in our comfortable waiting area. Any work undertaken will be explained clearly and we’ll always quote for both parts and labour, so there are no unpleasant surprises. In fact we guarantee you’ll find our prices very reasonable. 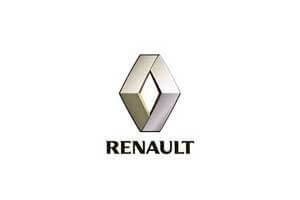 Contact us today and start saving money on your Renault servicing and repairs.